We are a senior adult couple who are retired and travel extensively in our 24 ft. Fleetwood Icon motorhome. 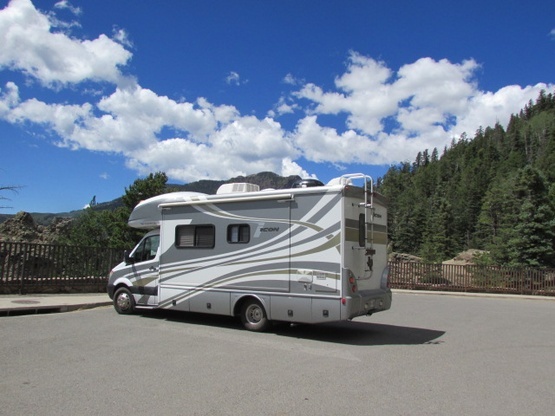 We have been RVing for over 20 years and know all about how to use a motorhome and a RV parking location properly. Our RV is fully self-contained. We are very clean people and always make sure we leave campsites clean. 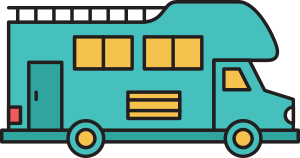 If you agree to allow us to park on your property, we will just stay one night, do everything inside our RV, and respect your property and privacy. We look forward to meeting you and learning about your area. Music, extensive travel in US, Canada, Mexico and around the world. Real estate investing. Sachse, TX - This is a suburb of Dallas, TX with about 25,000 people. We are on the northeast side of Dallas near Plano. We still have a small town atmosphere, but are growing like a wildfire with hundreds of homes being built each year. We have very little industry and retail and are basically a "bedroom community". Our general area is consistently rated nationally as one of the best places to live in the US. 24 ft. Class C Fleetwood Icon - 2009 - in very good condition and well maintained. One slide out. No decorations. No pets or kids.